I’ve always been fascinated by human beings’ predilection for adding ornamentation to our surroundings. What is the impetus for decorating everything? 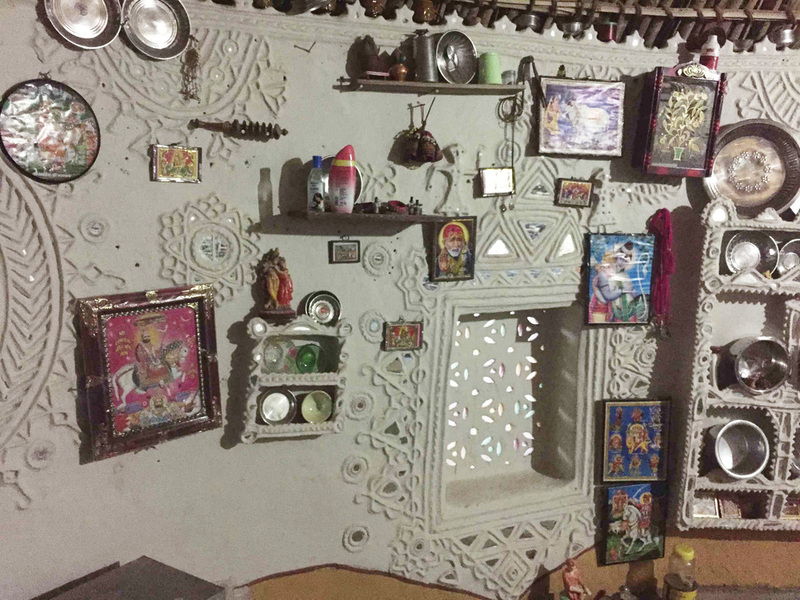 A love of color, pattern, and decoration is obvious across India, and in Kachchh, where handicrafts have played an important role in culture and livelihoods for millennia, it’s especially hard to miss. There’s personal adornment - intricately woven fabrics draped over the body, heavy silver jewelry encrusting arms and chest, beaded clothes for children. And among many rural communities, small dot pattern tattoos provide permanent embellishment. In the home there is neat mud work with glimmering mirrors embedded throughout, patterned pottery, embroidered bags. Of course, people everywhere like to dress up themselves, their children, and their homes. Applying surface decorations to everyday objects seems like it must stem from an innate desire to beautify. Beyond that, it is an opportunity to express cultural traditions and norms while also providing a space for individual creativity. Motifs are passed from one generation to the next, shifting slowly with along with personal preferences and new cultural influences. Kachchh is a desert region of dun colored dust, white salt flats, and spiky acacia. For the pastoralist Rabari herders, the Ahir farmers, or the Meghwar communities in the desert and Banni grasslands, perhaps the lushly vibrant appliqué and embroidery work would seem to break the visual sparseness. In this region, modes of transport, like oxcarts, and camel are just as valuable possessions, and are decorated almost as lovingly as clothes for an adored child. I don’t know much about evil eyes. But I can certainly say that living here, I am frequently dazzled.